Press Release (Unedited): TORRANCE, CA – Rydeen Mobile Electronics has introduced Opportunity 2019, effective April 15. “Opportunity 2019” is precisely that, it’s an opportunity for us to reconnect with our 12-volt specialist, expeditor and distributor partners and focus on the opportunities that exist in the aftermarket ADAS category”, said Bob Goodman, Rydeen’s Vice President of Sales & Marketing. It is my belief that 2019 is the “tipping point” for this category and we want to be certain that our customers are prepared to take advantage of it. Since my return to Rydeen we have been tirelessly negotiating with our manufacturing and parts partners to help us reduce costs without affecting quality or functionality. The result has been positive and we will be announcing reduced pricing on many items effective April 15th. Additionally, we will be restructuring our “Profit Sharing” business program for our distributor partners to increase their profitability plus a new prepaid freight program for our Premier dealers,” added Goodman. But wait there’s more…We are increasing our in-store visibility with new POP and additional functional and passive displays to create consumer awareness in showrooms. 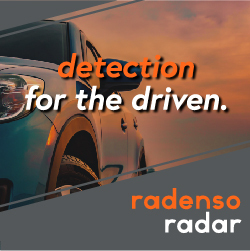 Every customer is an ADAS customer but we need to educate them and make them aware these solutions exist for their vehicles, Rydeen ADAS solutions are Universal and not limited to a handful of vehicles. 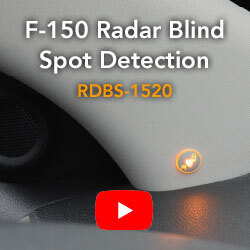 “We’ve made a huge investment in R&D of sensor technology for our new Blind Spot Warning and Digital Park Assist systems and it’s paying off handsomely. Each week we receive dozens of calls from satisfied 12volt specialists and expeditors who have tried one or another of our different solutions with excellent results. 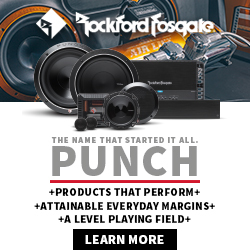 Many of these were actual replacement installs of competitors products,” added Goodman. Rydeen further announced increased training sessions and materials will be available for their more advanced product categories with an “Opportunity 2019” installer and sales personnel certification program that will reward those certified with points for product and other incentives. About Rydeen: Rydeen Mobile Electronics, our mission is to provide the safest vehicle driving experience with solution based products and technologies… aiming for ZERO auto accidents & auto thefts…thus creating “peace of mind everyday” to consumers worldwide!!! For more information, visit our website at www.rydeenmobile.com.